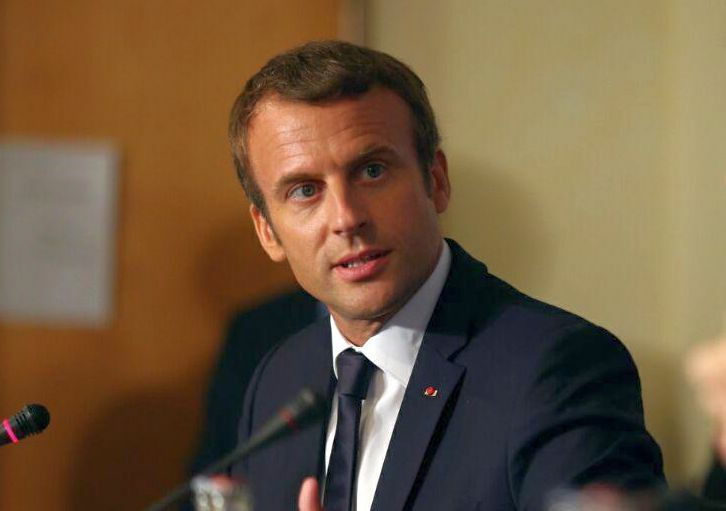 A day after one of the world’s most iconic landmarks, the 850-year-old Cathedral of Notre Dame (Our Lady), fell to flames during Holy Week, French President Emmanuel Macron pledged that it will be rebuilt, adding that an international effort to raise funds would begin today. 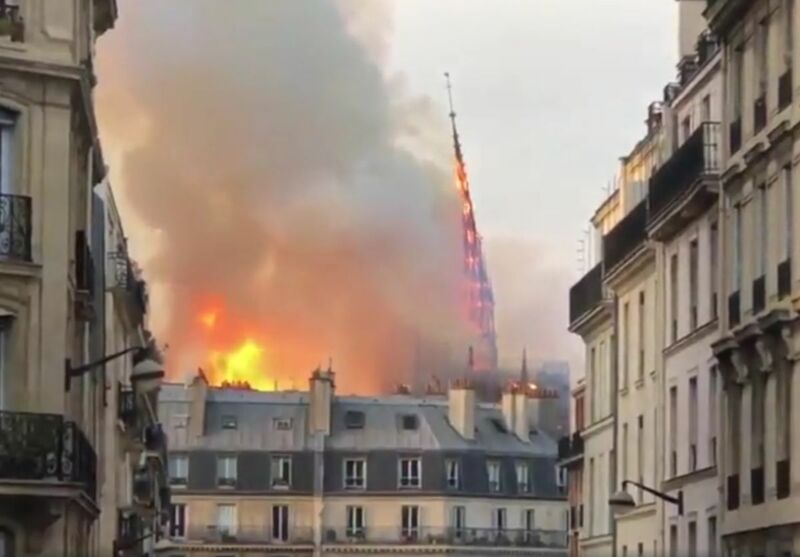 French prosecutors, meanwhile, have launched a probe into the cause of the fire, which started in the cathedral’s attic at 6.30pm on Monday, tore through its wooden roof and toppled its 300-foot spire threatening the vast collection of Christian art and relics inside. 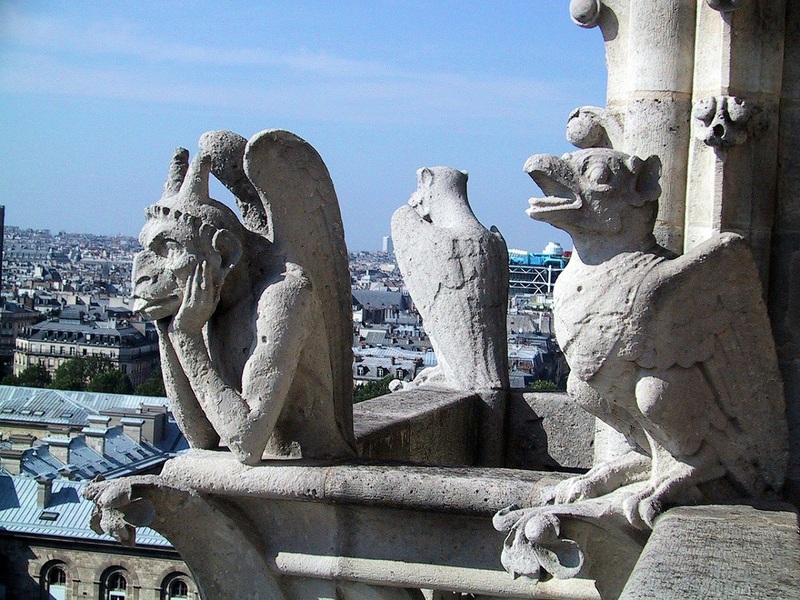 The two characteristic bell towers and the French cathedral’s stonework facade remained in tact, while officials reassured that priceless art world art works and items inside were salvaged. “We will rebuild Notre Dame… Because that is what the French expect,” Macron said during his visit to the site Monday night. “Notre-Dame is our history, it’s our literature, it’s our imagery. It’s the place where we live our greatest moments, from wars to pandemics to liberations,” he said. Officials said they do not yet know what caused the blaze. The cathedral was undergoing renovation and restoration works. 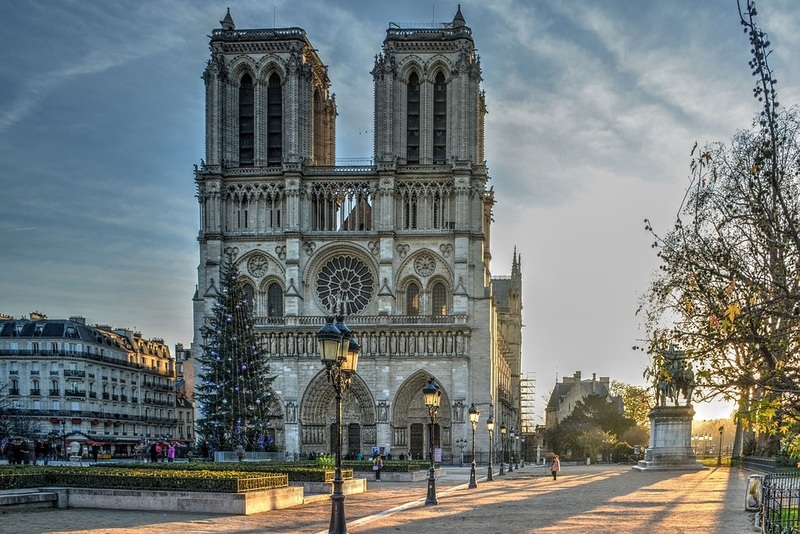 Constructed on the Île de la Cité islet in the Seine River in the 12th and 13th centuries, the Notre Dame is considered to be one of the finest examples of French Gothic architecture, visited by about 13 million people a year. Greece joined world leaders in expressing sorrow over the devastation of France’s national symbol, adding through its foreign ministry that it would be extending its “uncompromising support” to France and the French people “at this very difficult time… There are no words to express our sorrow for the devastating fire,” the foreign ministry said in a Twitter post. On her part, Greek Culture Minister Myrsini Zorba expressed her sorrow for the disaster in Paris and stressed that Greece would support the effort to restore the Notre-Dame Cathedral. Among the first to contribute to the fundraising efforts for the Notre Dame’s reconstruction was French billionaire François-Henri Pinault, owner of international luxury group Kering, who pledged 100 million euros. French billionaires, the Arnault family, and their LVMH luxury goods group has also said it will donate 200 million euros to help repair the Paris cathedral. This is the team byline for GTP. The copyrights for these articles are owned by GTP. They may not be redistributed without the permission of the owner.